Dr. Lalancette holds a Ph.D. (Chemistry) from Université of Montréal (1960). He is a professor Emeritus of the Université de Sherbrooke and the author of more than 40 patents related to mineral chemistry and problem solving in environmental science. His contributions have been acknowledged by several awards, including the Manning Award in 1985 for the development of a safer form of asbestos. Dr. Lalancette, co-founder of the Corporation, was a director and Vice-President, Development of the Corporation until his retirement in February 2015. Mr. Gelfand is counsel of Lapointe Rosenstein Marchand Melançon LLP, a law firm of Montréal, Québec. Mr. Gelfand’s areas of expertise are mergers and acquisitions and international transactions. 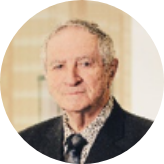 Mr. Gelfand is a director of a number of private and public corporations doing business in Canada, including Innovium Capital Corp., Dynamic CMP Funds and Canada Dominion Resources Management Corporation. He is a member of the Board of Governors of Dynamic Mutual Funds and Chairman of the Board of Trustees of Dynamic QSSP Fund. 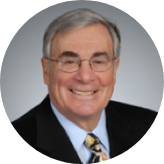 Mr. Howlett is a seasoned professional with over 30 years of senior financial management experience. 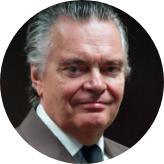 Mr. Howlett is currently the President, Chief Executive Officer and Director of Dundee Sustainable Technologies Inc and CR Capital Corp. He is currently on the Board of Directors of Nighthawk Gold Corp. and Rapid Dose Therapeutics Corp. He also formerly served as the President and Chief Financial Officer Superior Copper Corporation. Prior to that, Mr. Howlett spent 12 years with ELI Eco Logic Inc., including 6 years as Chief Financial Officer. Mr. Howlett graduated in 1982 with a B. Comm. in finance from Concordia University and received his CMA designation in 1989. Mr. Hubert Marleau is a co-founder of Palos Management. 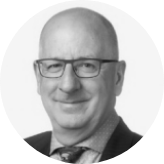 With over 30 years of experience in the business and financial community, Mr. Marleau has raised funds privately and publicly for hundreds of emerging and mature companies, structured many mergers and acquisitions as well as designed and created numerous financial deals in Canada. Mr. Marleau has worked at the senior executive level of several large investment banks. During his career, he was a governor of the Toronto Stock Exchange, the Montreal Stock Exchange, and the Vancouver Stock Exchange, a director of the Investment Dealer Association of Canada and Board member for a multitude of publicly traded companies. Mr. Marleau graduated from the University of Ottawa with an Honours Bachelor of Science in Economics. Mr. Jacob is Managing Director and Chief Operating Officer of NCP Investment Management. He is a graduate from the Faculty of Law of Laval University and a member of the Quebec Bar since 1995. Mr. Jacob has more than twenty years of corporate finance, mergers and advisory experience and has been involved as lead advisor in numerous transactions including mergers and acquisition, going public transactions, financing and governance best practices implementation. Mr. Jacob has experience as board member of several public companies. 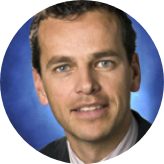 Mr. Morphy, is Vice-President, Corporate Development of Dundee Corporation since April 2016. He is part of the senior management team at Dundee Corporation responsible for strategy, new investments and portfolio management. Mr. Morphy has more than 30 years in cross-border and international commercial and corporate structuring and finance experience. He holds a bachelor degree of Commerce from the Dalhousie University. 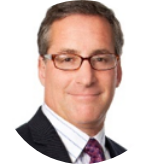 He has occupied positions as Managing Director and Vice-President of banks and financial institutions such as the Farber Financial Group between 2008 and 2016, ABN Amro Bank N.V. and LaSalle Bank between 2005 and 2008, as well as Comerica Bank, between 2000 and 2005. Mr. John Lindsay, P. Eng., has over 30 years of experience in mining and holds a Bachelor of Science in Metallurgy from Strathclyde University in Glasgow, Scotland. Mr. Lindsay has been the Senior Vice President of Dundee Precious Metals, Projects since 2014. 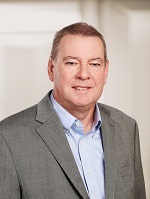 Previously, he was Vice-President, Capital Projects Execution with Barrick Gold Corp. Mr. Lindsay has held a variety of senior roles with SNC Lavalin Group Inc., AMEC Americas Limited and De Beers Consolidated Mines Ltd, where his accountabilities included metallurgical design, operations management and oversight and governance of major mining projects. He has served as an executive committee member of the Canadian Institute of Mining and Metallurgy, Toronto branch.